Heat the oil in a medium skillet over medium high. 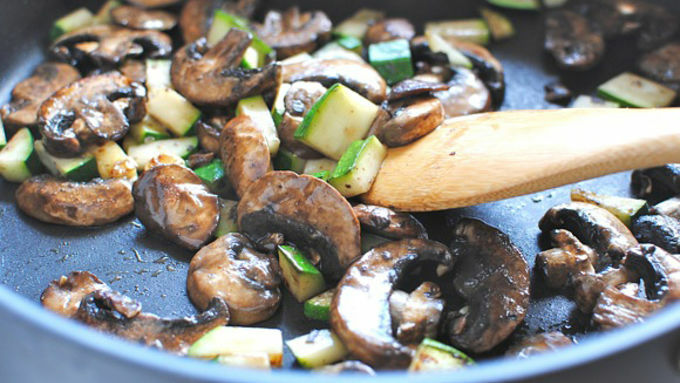 Add the mushrooms and zucchini, season with a pinch of salt and pepper and sauté for about 5 minutes, until softened and starting to brown. Remove from pan and set aside to keep warm. 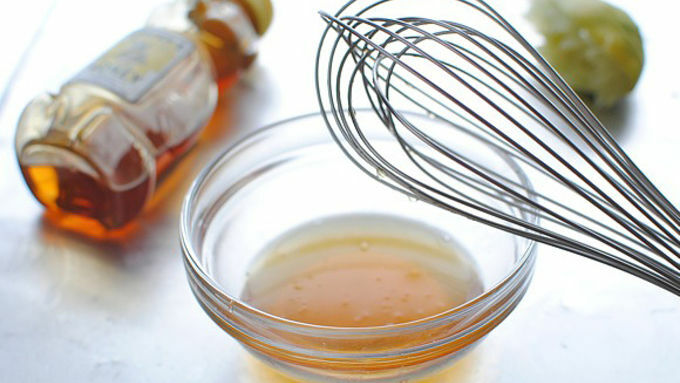 In a small bowl, whisk the honey and lime juice together. Preheat an indoor or outdoor grill over medium high. Lightly coat with cooking spray. Season the fish on both sides with salt and pepper and place on the grill. Grill for about 3 minutes on each side, brushing the fish with the honey lime glaze. Divide the spinach leaves over two dinner plates. 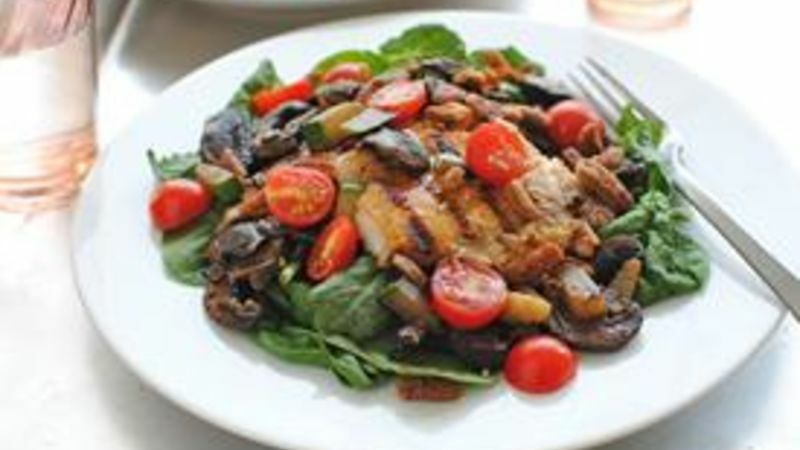 Arrange the grilled fish over the spinach, followed by the sautéed vegetables. Sprinkle the cherry tomatoes and candied nuts over the salads. 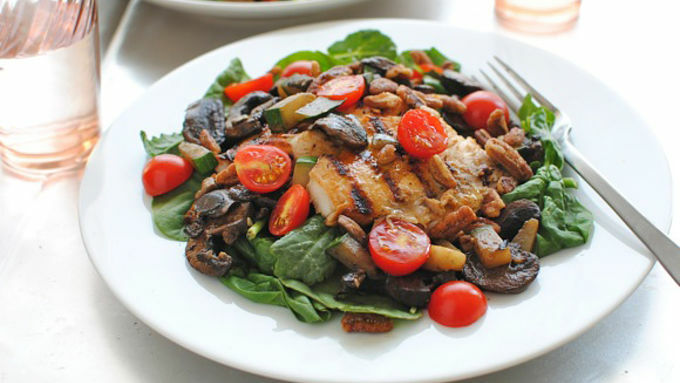 Lightly dash with favorite lime vinaigrette. Serve immediately! Fish salads, for the win. Sometimes I go through mega mama fish phases. Like right now, in this seriously ridiculous heat, I'm in a total fish phase. And I know that fish has absolutely nothing to do with heat, or the amounts of sweat buckets that spew from my exhausted pores, which I probably shouldn't have typed out just now. But I'm in it. And I'm going to own it. The fish, not the sweat. Well, okay, I'll own that too. And I'll stop talking about it. For now. I ESPECIALLY love fish on a salad. Something about how it flakes apart all nicely over a bed of greens and sautéed vegetables just makes me shiver. AND, get this. I made a simple little honey and lime glaze to coat the fish as it was being grilled. There's a chance that glaze ended up on my mouth like lip gloss. I'll go ahead and own that too. You should know, tilapia flakes easily, so when you go to flip the fish, don't get disheartened if it flakes apart on you. Mine did. I'll just go ahead and own that too. I'm owning a lot of things today! This feels GOOD. Fish, vegetables, spinach, candied nuts and fresh cherry tomatoes with some lime vinaigrette. Make her happen!